Donald Glover is the voice of his ideas but also the vessel for the many who bring them to life. 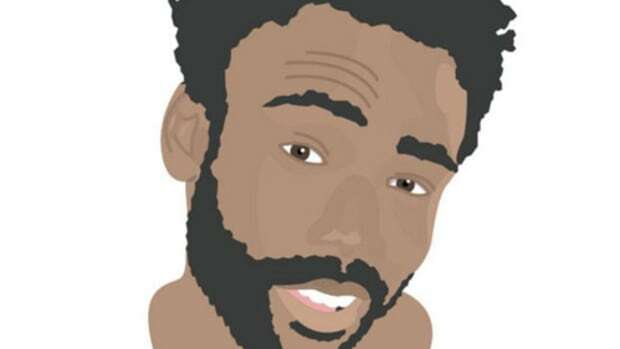 Donald Glover was on network television before the top of Billboard; known as an actor, writer, and comedian prior to gaining popularity as Childish Gambino, the chosen moniker for his artistic pursuits in music. September 17 will mark nine years since Dan Harmon’s Community premiered on NBC, the series that introduced Glover&apos;s character Troy Barnes to households across the country. 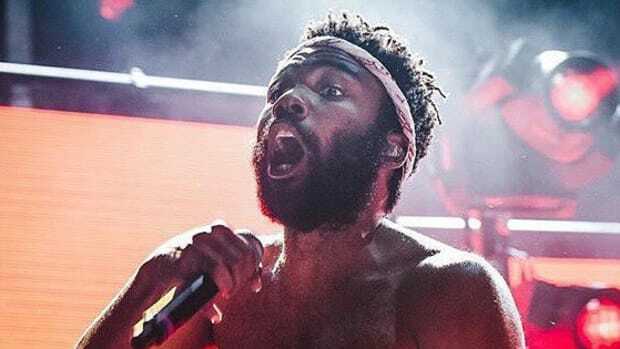 Community isn’t viewed as an imperative moment for Gambino’s career as a recording artist—he was a relatively unknown rapper at that time—but during the show&apos;s first season, Glover became acquainted with Ludwig Göransson, the Swedish film composer scoring the series. This chance yet vital encounter paved the way for the artist he would become. Glover approached Göransson with collaboration as the nature of his interest. In a recent interview with the LA Times, the famed music producer was asked why he believes Glover wanted to work on music together. "I think he just saw that I could get into his vision," Göransson replied. 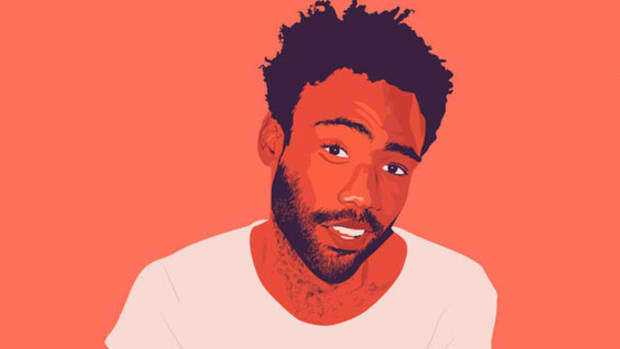 For close to a decade, Childish Gambino’s sonic vision has relied heavily on Göransson’s unique production and a wide palette of musical knowledge. Göransson is to Glover what 40 is to Drake, what Sounwave is to Kendrick Lamar, what Ryan Lewis was to Macklemore. Göransson is usually unseen, but his fingerprints have touched every Gambino album since the 2010 mixtape Culdesac. Together, Glover and Göransson don’t just make music; the two are world builders who begin with an idea from scratch, transforming the identity of who Childish Gambino can be and what he can sound like. The music benefits from their brain trust. 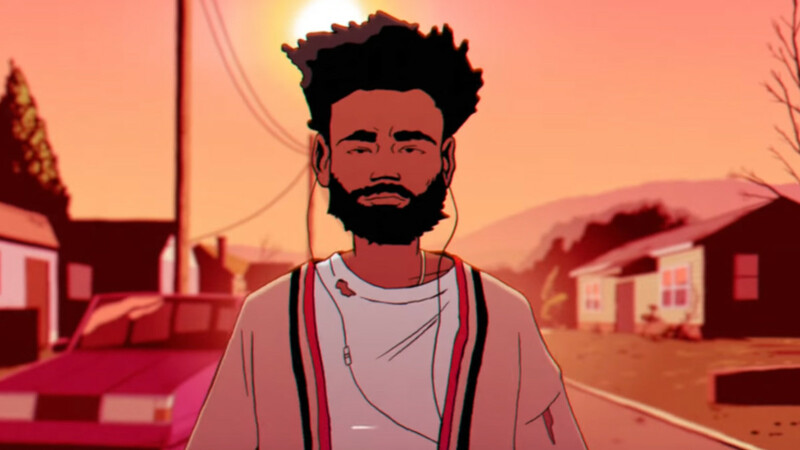 This past Saturday night, without any forewarning, Gambino released the excellent music video for his latest single, “Feels Like Summer.” It’s a completely animated effort, directed by Glover, Ivan Dixon, and Greg Sharp. This is the first time Glover has worked with Dixon and Sharp, a pair of professionals with less than 6,000 followers on Instagram. How he discovered and sought out the pair for this project is a question that needs answering. The beautiful homes that make up the gorgeous background were done by freelance animator Andrew Onorato, and the storyboard was handled by Felix Colgrave. According to a story written by Jyni Ong, over 15 animators were employed to create the stunning set of visuals. The illustrations of fellow celebrities have helped the video to go viral, with over 60 cameos made throughout the four-minute clip. The individual responsible for the character design is 29-year-old Philadelphia native, Justin Richburg. Back in February, Richburg went viral for a painting titled Dice Game. It’s a depiction of an alternative reality in which Malcolm X, Allen Iverson, President Barack Obama, Rihanna, T’Challa, and various other prominent black figures gather around to shoot dice. It’s a hilariously absurd concept that could have sprouted from the mind of Dave Chappelle or Aaron McGruder, but illustrated as a drawing rather than acted out on television. 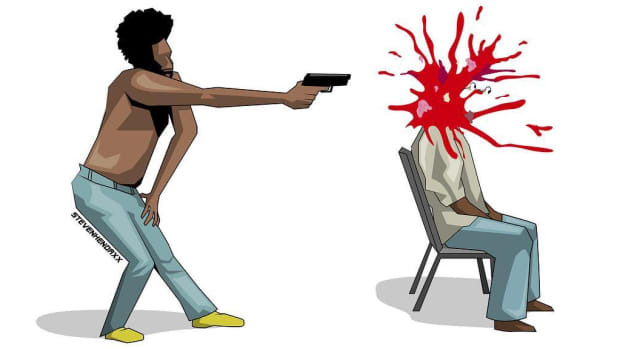 A combination of praise and outrage helped the drawing break through all facets of Black Twitter, bringing attention to Richburg’s art. In April 2018, those familiar with the drawing saw the image on the Teddy Perkins episode of FX’s Atlanta: Robbin&apos; Season. Darius Epps, Alfred’s quirky right-hand man (played by Lakeith Stanfield), had Dice Game as the wallpaper on his cell phone. More than simply grabbing a viral moment and implementing it in the series, Glover, who wrote that particular episode, decided to acknowledge and showcase Richburg&apos;s talents in his latest work of art. It would come as no surprise if Richburg’s mix-match art style and Dice Game were the influences that sparked the concept for the “Feels Like Summer” music video. Essentially, Richburg’s ideas are rooted in surrealistic crossovers. He merges stereotypical symbols of black culture with a clever sense of absurdity; it’s the vintage No Limit album aesthetic meets Black Twitter humor. Glover leans upon the crossover method by creating a rose-tinted paradise where hip-hop’s biggest names exist as a community. The genius of Richburg’s animated style is how he&apos;s able to turn every moment into a GIF; whether it’s Drake chasing Future, Nicki playing with Travis, 21 Savage hotboxing with Metro, or Crying Kanye being hugged by Michelle Obama, every few seconds can be isolated as a standout. Murai&apos;s creative relationship with Glover dates back to Childish Gambino&apos;s experimental sophomore album, Because the Internet. 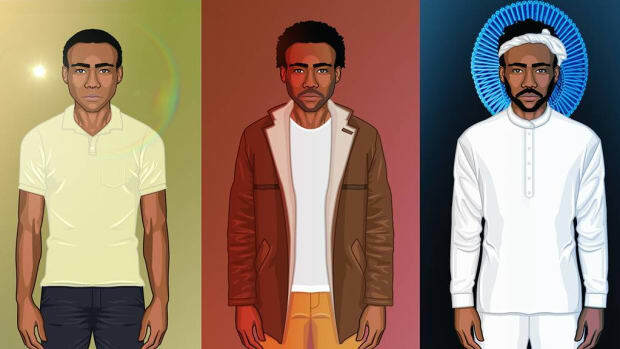 Before a single video was conceptualized, Glover reached out to Murai about creating visuals for the new project. Four music videos and one short film were made, a collection of visuals that transcended everything Glover had done prior. 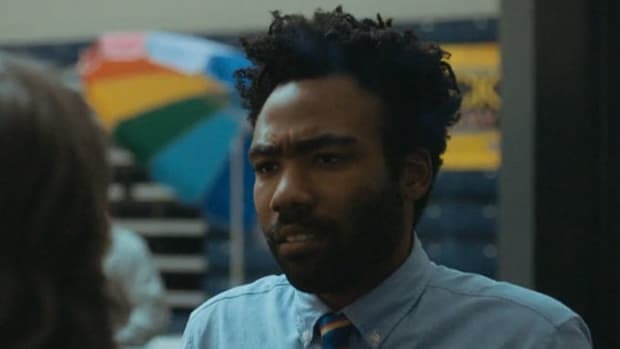 Even then, years before shooting the pilot episode of Atlanta, Glover told Murai about a TV show he was writing and wanted the director to shoot. Murai had no experience shooting television—his medium was music videos—so he told Glover, “Well, you’re going to have to convince FX that that’s a good idea,” and so he did. Pablo Picasso once famously said, “I do not seek, I find.” That describes Donald Glover’s gift for team-building. Foresight and imagination are his greatest creative weapons. He envisions, finds, and creates, in that order. 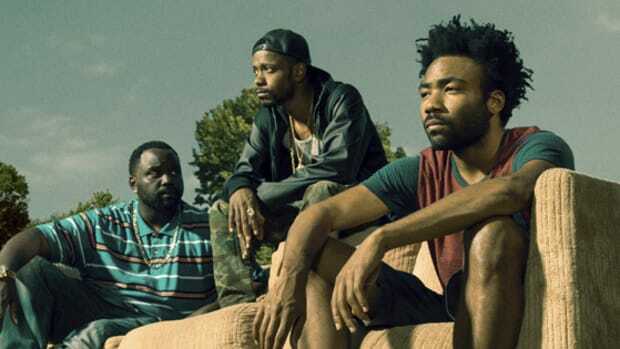 As a series, FX’s Atlanta would be completely different if it wasn’t for the all-black writing staff that gathers to tell these very nuanced stories. The Childish Gambino brand would be tragically different without Fam Rothstein and the Royalty collective, who assist in the creation of his every creative project. What is “This Is America” without the choreography by Sherrie Silver? What is “Feel Like Summer” without Richburg? There are so many necessary pieces to the puzzle of creating great work. Donald Glover and Childish Gambino are a reminder of how the best creative execution doesn’t come from one person, but a team. Glover understands better than most that part of being a great artist is surrounding yourself with and trusting the right people to elevate your talent and skills. Not just on the creative side, but on the business side as well. You need the right manager, the right publicist, the right record label, and the right A&R to guarantee everything comes to fruition in the best possible form. I once wrote that Hiro Murai was Donald Glover&apos;s secret weapon, but the truth is every member of his company is worthy of that title. Glover is far from the only artist to rise to stardom with the help of an immersive and trendsetting creative team. I see it in Kendrick. I see it in Drake. I see it in Chance, just as I saw it in Kanye; being able to cultivate genius is just as important as being a genius yourself. If it takes a village to raise a child, it takes a collective of creatives to provide truly transcendent artistic experiences. Donald Glover is a man of ideas. He knows where he wants to go and who the best drivers are to take him there. He&apos;s able not only to give the right directions because he&apos;s aware of the final destination, but he isn’t afraid to allow someone else behind the wheel. Glover is the voice of his ideas but also the vessel for the many who bring them to life; one face and name, but the extension of many minds. Don’t just be an artist. Be a community. 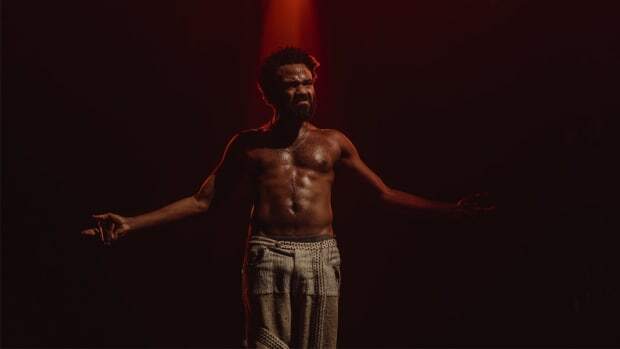 Childish Gambino's "This Is America" begs for us to search for meaning, but Donald Glover never makes the search easy.